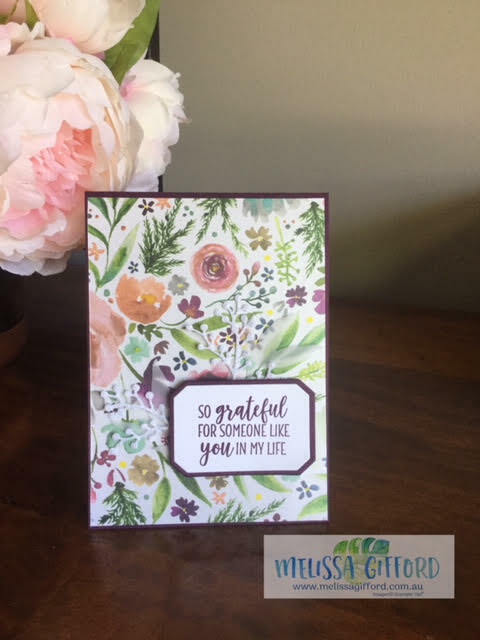 Hello and welcome to our Stampers Anonymous team blog hop! Stampers Anonymous is the team name for Marelle Taylor's team of which I am a very proud member! 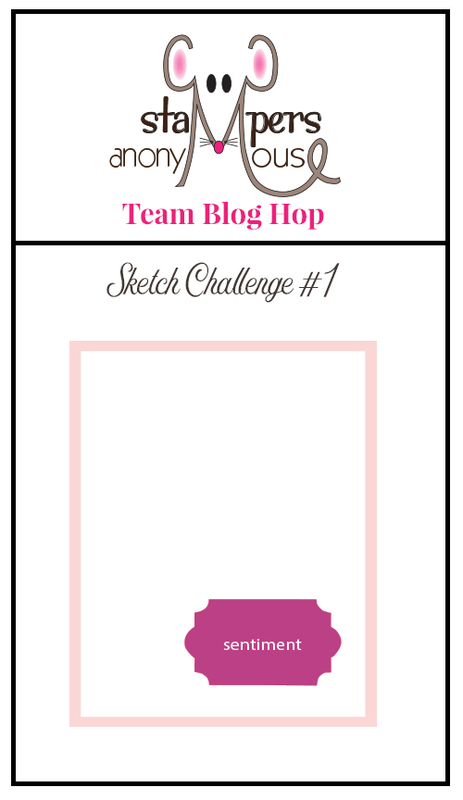 Here is the sketch challenge that was issued to us. I took the sketch quite literally and created a card showcasing one of my all time favourite designer series papers - Frosted Floral. This paper has a beautiful pearl shimmer to it and a lovely texture. With this sketch I was able to showcase the paper in all its glory! The sentiment comes from the Country Home stamp set, I love the wording and the fonts. 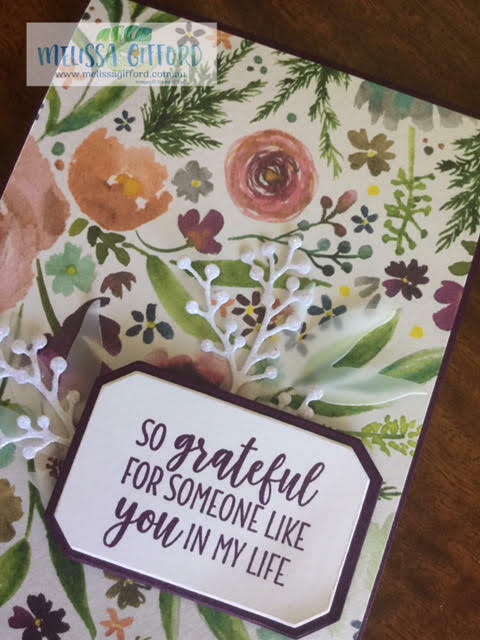 And there are so many people in my life that I am very grateful for including my Stampin' Up! family. Here is a close up of the card to show the added elements - vellum and glimmer paper leaves. Keep on hopping through the blog to see all the creative talent our team has to offer.